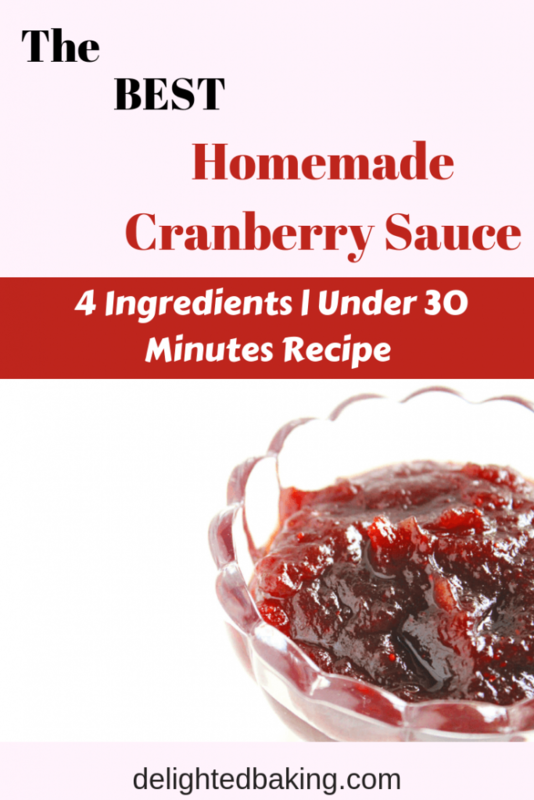 Quick Cranberry Sauce using dried cranberries. Enjoy it with a bread toast or add it on a scoop of vanilla ice-cream. 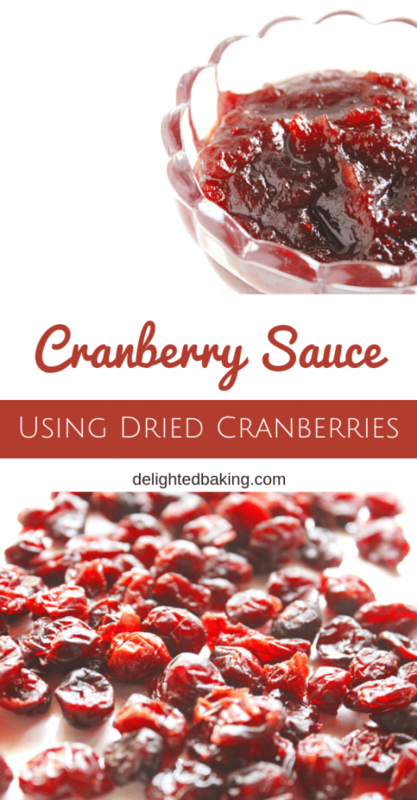 Homemade dried Cranberry Sauce can’t get easier than this! Homemade sauces are the best. You can enjoy the flavor of ready made sauces at home but without the guilt of eating unhealthy packaged food. Also, you can prepare some sauces in advance and can store them for a good amount of time. Cranberry is an amazing fruit. It not only tastes good but is also rich in vitamins and minerals. When I recently saw dried cranberries at a nearby store, I decided to buy it. We don’t get fresh cranberries here. That’s why, I decided to buy dried cranberries at least. 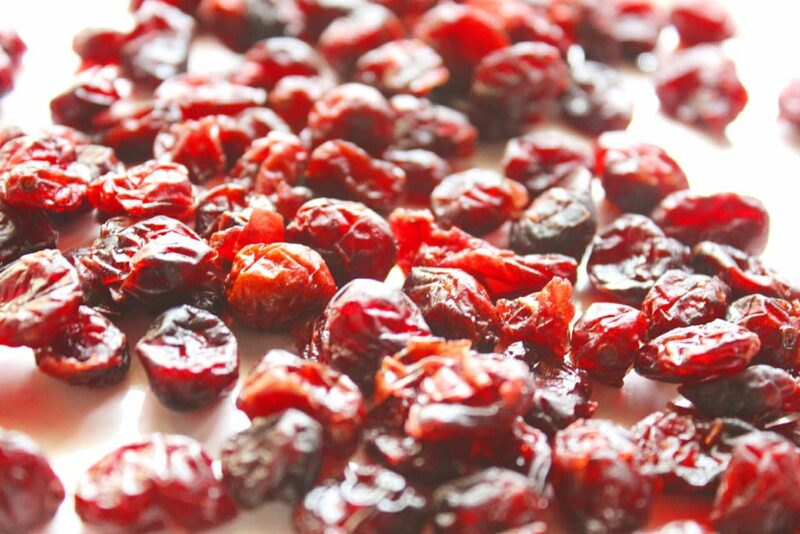 While returning home, I started thinking about the various recipes in which I can use these dried cranberries. I then decided to make a thick cranberry sauce using these dried cranberries. Can you make cranberry sauce with dried cranberries? Yes You can! and believe me it tastes as good as the one prepared with fresh cranberries. Also, this cranberry sauce made from dried cranberries is better than the one you get in the market. 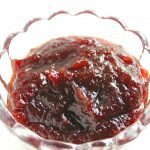 This thick cranberry sauce can be prepared quickly and you can eat it in a variety of ways. How to use this Cranberry Sauce? You can add a teaspoon of this cranberry sauce in a glass of chilled milk. Blend and enjoy a glass of cranberry milkshake. You can add it on top of a scoop of vanilla ice-cream. Yum! 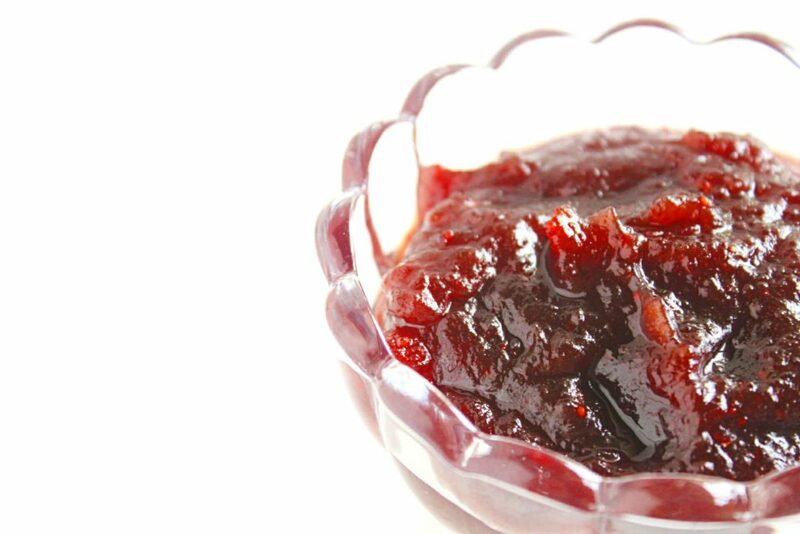 As this cranberry sauce has a jam like consistency, you can also apply it on a slice of bread. Cranberry bread toast, sounds delicious, right? 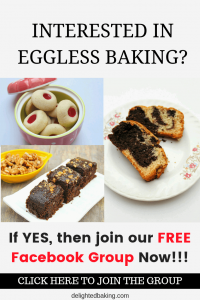 Making vanilla muffins? Give the recipe a twist. Add a teaspoon of vanilla batter into the muffin tin. Then add a teaspoon of this homemade cranberry sauce. Top it with the vanilla batter. 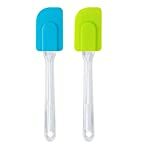 Mix these two batters using a toothpick. Bake and enjoy cranberry swirl vanilla muffins. Delicious!!! 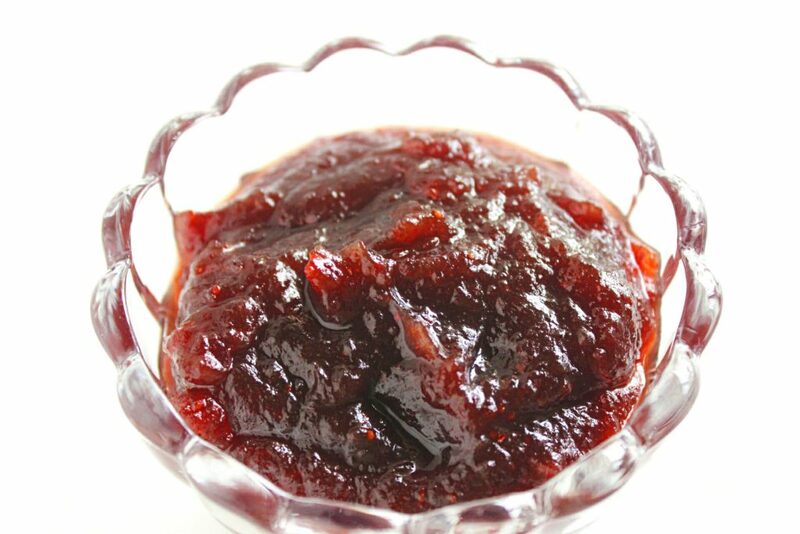 You can also use this homemade cranberry sauce for making homemade cranberry ice-cream. Prepare the ice-cream base using cream and condensed milk. Add about 4-5 tablespoons of homemade cranberry sauce in 1 cup of base ice cream. Mix it properly and keep in the freezer till it sets. Your homemade cranberry ice-cream is ready! 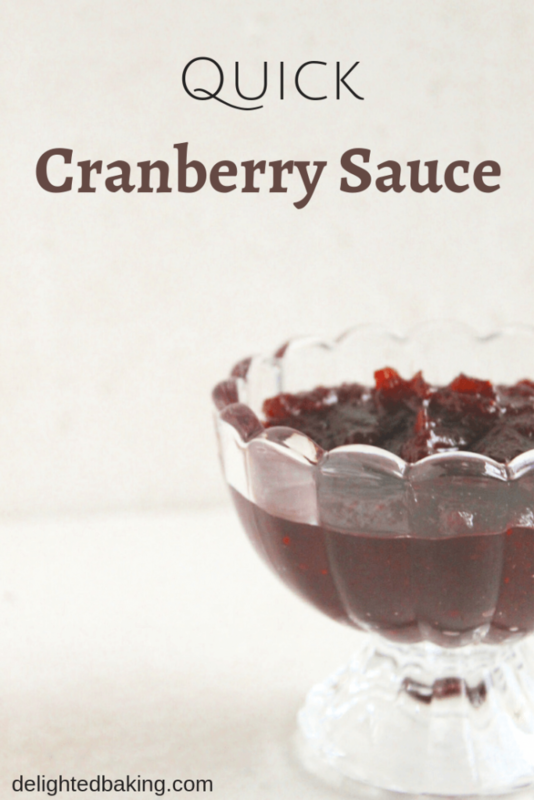 Have more ideas in which you can use this homemade cranberry sauce? Then share them in the comments below. I would love to read your suggestions and ideas! How to make cranberry sauce with dried cranberries? The recipe is quite easy. As I said earlier, I have used dried cranberries for this recipe. Take a deep bottomed pan and add dried cranberries and water. Cook, on a high flame, for one minute. After one minute, reduce the flame. Cover with a lid and let it cook, on a low flame, for 4-5 minutes. Stir occasionally. Now add sugar and lemon juice and mix well. Again cover with a lid and cook for another 4-5 minutes or till the cranberries swell and get soft in texture. You have to cook it till 90% of water evaporates and cranberries swell up. 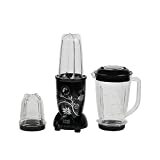 Add this mixture in a blender along with a few tablespoons of water and blend it. I blended it completely as I wanted a smooth sauce like consistency. If you want a chunky taste with tiny bits of cranberry in between, then don’t blend it fully. Add the blended mixture in a pan. Cook it, on a low flame, till all the water evaporates. How to check if the cranberry sauce is ready? Add a teaspoon of the cranberry sauce in a plate. Turn the plate slightly. If the sauce starts running downwards and water separates from the sauce, then the sauce is not ready. Cook it for a few more minutes. The sauce is ready when no water is left behind and all you have is a thick cranberry sauce. The recipe is quite simple. You can finish preparing it in less than an hour. You can store this cranberry sauce in the fridge up to 4 days. Quick homemade cranberry sauce using dried cranberries. In a deep bottomed pan, add dried cranberries and water. Let this come to a boil. Reduce the flame, and on a low flame, let this cook for 5 minutes. Stir occasionally. Add lemon juice and sugar. Mix well. Cover and let it simmer for 5-8 minutes or till all the water gets evaporated. Add the blended mixture into a pan. Homemade Instant Cranberry Jam / Thick Cranberry Sauce is ready! Please note that some of the links above are affiliate links, and at no additional cost to you, I will earn a commission if you decide to make a purchase after clicking through the link. Thank you for supporting this site! PIN IT TO READ IT LATER ON! Fun Read : 10 Facts about cranberries! This recipe saved my Thanksgiving! Thank you!! Hi, made this recipe….my kids loved it. Very yummy…. thanks a lot for sharing.